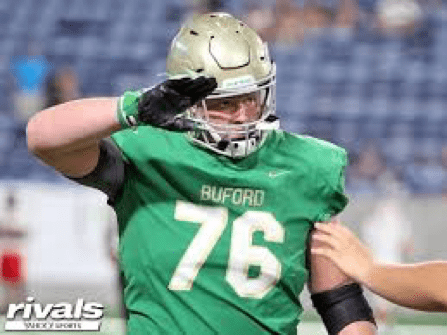 In week 4, Harry Miller helped anchor Buford’s offensive line in route to a 54-27 victory over Newton, a perennial playoff team over the last 5 years. Behind Miller, Buford racked up more than 400 yards on the ground against Newton. Miller is committed to The Ohio State University, where he will help carry on the tradition of big and physical rushing attacks.